Companies have to deal with different stakeholders’ opinions, attitudes and perceptions about their behaviour. They need to strike a balance in satisfying numerous stakeholders’ expectations. Businesses can’t please everyone. However, they should try to engage in fruitful and collaborative working relationships with external stakeholders, as dialogue often leads to improvements in mutual trust and understanding. Continuous communication also translates to benefits for the businesses’ reputation, its brand image, customer loyalty and investor confidence. Companies cannot afford to overstate or misrepresent their Corporate Responsibility (CR) initiatives. Although, they often manage to control their internal communication paths, it is much harder to control external media. As a result, it has never been more necessary to turn the businesses’ stakeholders into potential advocates for both the cause and the company. This can happen if CR realms are a good fit for the businesses’ mission and vision. It is advisable that CR communications reflect the ethos of the practicing organisations. Therefore CR (and sustainability) reporting should be clear in their intentions, with specific and relevant information featuring the companies’ credentials, and how stakeholders will benefit. CR behaviour is directed at the organisations’ stakeholders comprising human resources, suppliers, customers and the community at large. Well laid down policies and initiatives are usually communicated through formal statements in annual reports as well as through corporate websites. CR reporting cover areas like training and development opportunities for employees, employee consultation and dialogue, health, safety and security issues and also measures for work-life balance. Apparently, business organisations are increasingly pledging their commitment for more innovative environmental investments. For instance, energy and water conservation, waste minimisation and recycling, pollution prevention, environmental protection as well as sustainable transport options. These sustainable practices bring strategic benefits such as operational efficiencies and cost savings. Several empirical studies (including mine) have indicated that discretionary investments in CR, whether they are driven from strategic intents or from ‘posturing behaviours’ often result in improved relationships with internal and external stakeholders. The rationale for societal engagement is to anticipate third party pressures, lower the criticisms from the public and to minimise legal cases through compliance with regulations. CR should not be merely presented as goodwill or as a philanthropic venture. It should be featured as a realistic business case for stakeholders. This shared value proposition requires particular areas of focus within the businesses’ context. Yet, at the same time it looks after the society’s wellbeing. 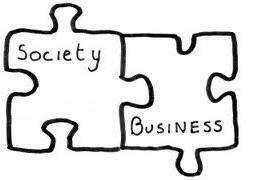 This notion contributes towards sustainability by addressing societal and community deficits. Presumably, shared value can be sustained only if there is a genuine commitment to organisational learning, and if there is a genuine willingness to forge relationships with key stakeholders, including customers and employees. Free publicity and informal word of mouth can either bring supportive or damaging effects. There is scope for businesses to foster strong relationships with particular community and marketplace beneficiaries. Such stakeholders can possibly serve as a buffer against potentially negative and harmful reviews. Recently, companies are increasingly focusing their attention on content and inbound marketing. In a nutshell, content marketing necessitates an integrated marketing approach through different channels of communication with stakeholders. This has to be carried out at all times. Many local businesses are becoming proficient in their customer engagement. They realise that this marketing approach brings customer loyalty, particularly if the business is delivering consistent, ongoing business propositions. In a similar vein, inbound marketing tactics also draw customers to businesses. Successful businesses are continuously coming up with informative yet interesting, original content through innovative marketing and interactive methods such as blogs, podcasts and social media networking, enewsletters et cetera. Online content comprise refreshing information which tell stakeholders how to connect the dots. It goes without saying that corporate internet sites are serving their purpose. The general public is continuously presented a better picture of the companies’ communications; containing the latest news, elements of the marketing mix endeavours and marketing fads. It transpires that content marketing has become a valuable tool for CR communications. Businesses who make use of the right content to explain their CR behaviours will gain a competitive advantage relative to others. On the other hand, stakeholders have become acquainted with businesses communicating their motives and rationale behind CR programmes. CR practices provide a good opportunity for businesses to raise their profile through their laudable behaviours. At times, businesses can obtain decent coverage by third parties, especially media enterprises who are renowned for their sense of objectivity. Strategic communications help to improve the corporate image of firms, leading to reputational benefits and rapports of trust with stakeholders. This short contribution suggests that content and inbound marketing can be successfully employed for CR communications and to enhance customer and employee engagements.